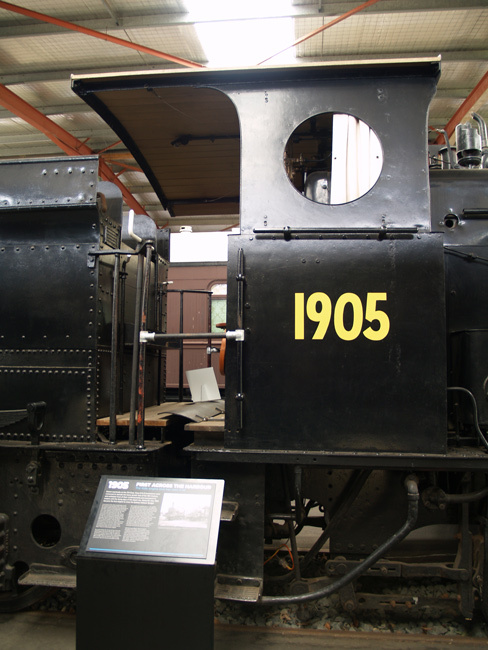 Statically restored 1905 displayed at the NSWRTM on 23 November 2008. 1905 was built by Beyer Peacock & Co in 1877 as the fifth of an initial order for 6 heavy freight locomotives of the A(93) class and originally given the road number 97. 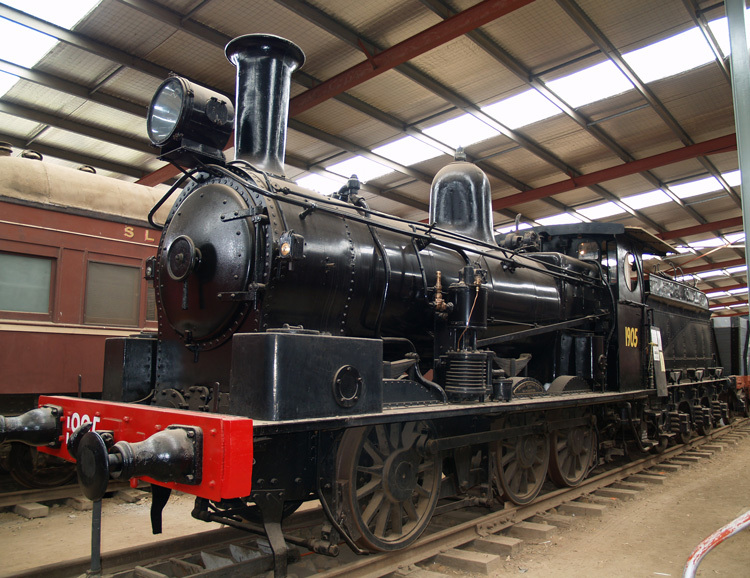 The A(93) (later known as the (Z)19 class) represented the final NSWGR development of the "long boiler" 0-6-0 design, and went on to number 77 locomotives supplied by a number of builders. 1905 earned a special place in history as the first locomotive to cross the Sydney Harbour Bridge, albeit on a construction works train. 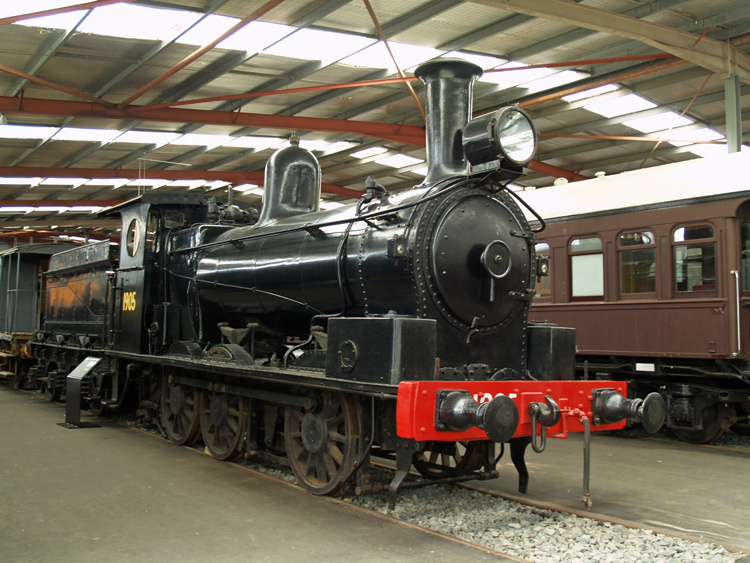 1905 was retained for preservation in the New South Wales Rail Transport Museum (NSWRTM) collection following its withdrawal from NSWGR service. It was transferred from the NSWRTM Enfield to Thirlmere site on 17 June 1975 when towed (together with 5711) by 3801; photos show 1905 was service-weathered at this stage and the loco deteriorated further in the early years of open display at NSWRTM Thirlmere (prior to construction of the display hall). Full restoration for static display began in 1983 with 1905 jacked-up onto blocks and the wheels dropped out to allow cleaning and de-rusting between the frames. The restoration proceeded slowly but thoroughly over the following 22 years, with all components removed, de-rusted, primed and top-coated. Missing components were replaced, tender rust holes were patched and the wooden cab roof replaced. The restoration was largely complete by 2005 when 1905 was moved into the display hall, with some nice finishing touches subsequently applied such as electricity supply to the marker lights. Today 1905 is a far cry from its rusted and worn state of 1983 and is a credit to the volunteers of the NSWRTM static restoration team. 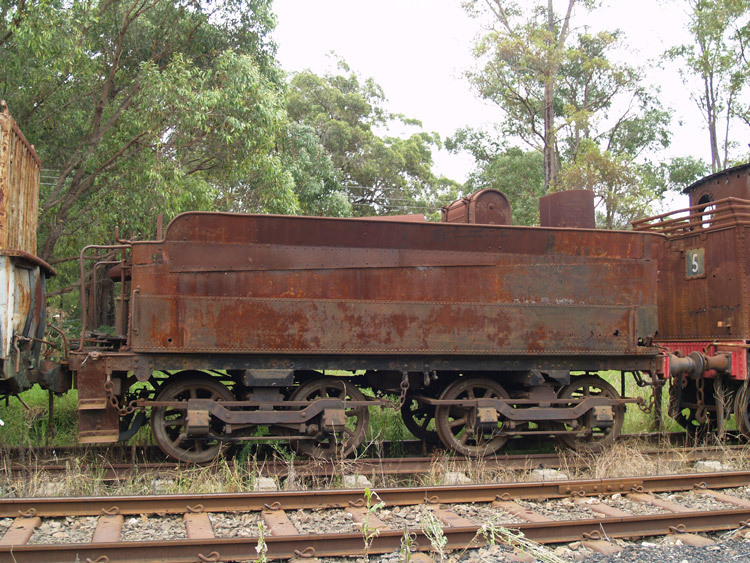 The NSWRTM is also home to a Baldwin J-483 class bogie tender which was last attached to sister 1957 (whose road number it still bears) for use on the Oberon line. 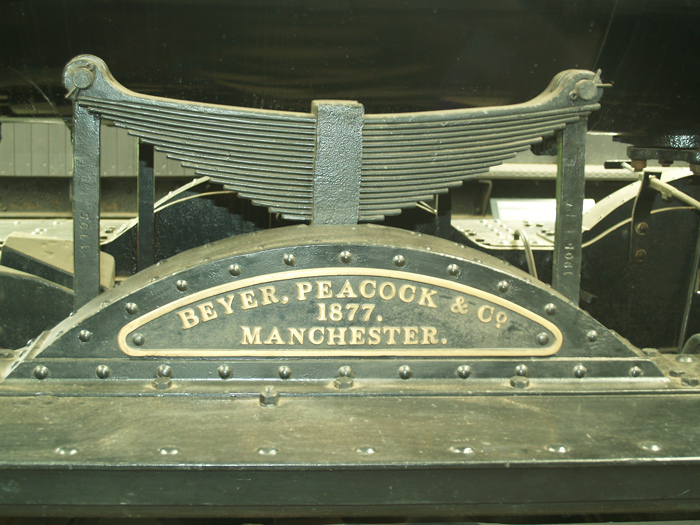 Beyer Peacock & Co. builders plate over the central wheel splasher. 2 March 2014. Restored 1905 displayed at "Trainworks", the former NSWRTM at Thirlmere. Cab view of 1905 displayed at Trainworks, highlighting the “Thow” porthole cabside. New canvas blinds have been fitted during restoration. This Baldwin tender (last attached to 1957) is stored at Thirlmere. It appears to be ex-J 483 or J 131 class 2-8-0. It is heavily patched after a long career. published by the Australian Railway Historical Society, New South Wales Division, 1989.